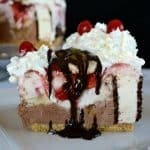 Banana Split Ice Cream Cake – made with a graham cracker crust, ice cream sandwiches surround the outside with layers of chocolate and strawberry ice cream, bananas, and pineapple and strawberry sundae toppings in the middle. Top it all off with whipped cream and cherries and it’s the perfect summertime treat. We are well into summer and this time of year just screams ice cream to me. When we lived back east, one of our favorite things to do was to go to the local homemade ice cream shop and order our favorite flavors. I would get coffee, the Mr. would have his strawberry and each of the kids would get something different. Occasionally there’d be a banana split thrown in there somewhere. Banana splits were something that never really excited me as a kid. I preferred my strawberry sundaes. But this cake…oh, this cake. 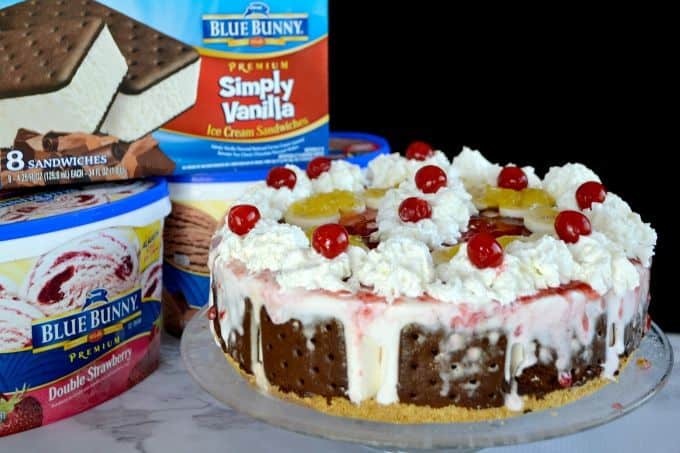 We don’t have a local homemade ice cream shop close to us here in Phoenix, so I found myself staring at the freezers in Walmart the other day when it came to me – create a banana split ice cream cake using Blue Bunny ice cream! I knew the family would love it. It was easy to put together, just make sure you make it the day before you want to serve it because each layer needs to set and the entire cake will have to freeze overnight. You’re going to start with a 10-inch springform pan. Spray the sides of the pan with cooking spray so that the parchment will adhere to it. Then the graham cracker crust. You’re going to cut those ice cream sandwiches in half and place them cut-side down around the outside of the pan. 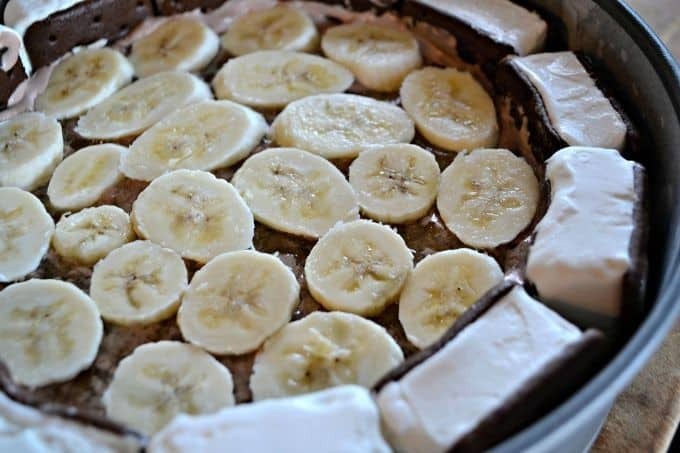 The chocolate ice cream will be placed into the center of the cake then covered with the pineapple topping and a layer of bananas. 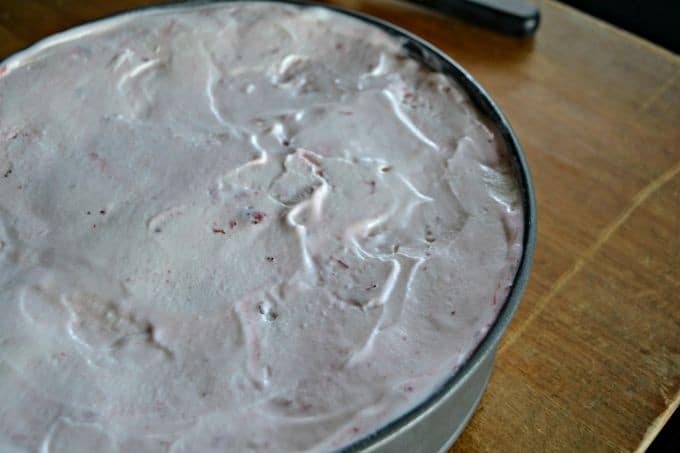 Cover the banana layer and ice cream sandwiches with the strawberry ice cream. TA DA!!!! I think this has to be one of the most magnificent creations I’ve ever made. It was pretty spectacular on the outside, but even more exciting to see the layers when I cut into it. 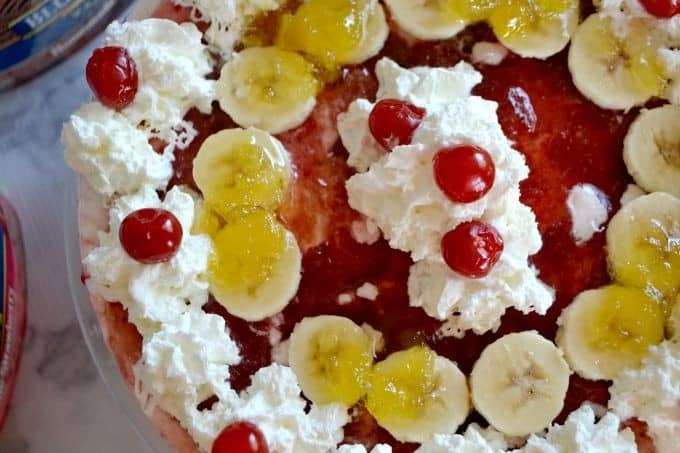 After it’s removed from the pan, cover with the strawberry topping, more bananas, the remainder of the pineapple topping, whipped cream and cherries! Oh, and you can also add nuts if you like. 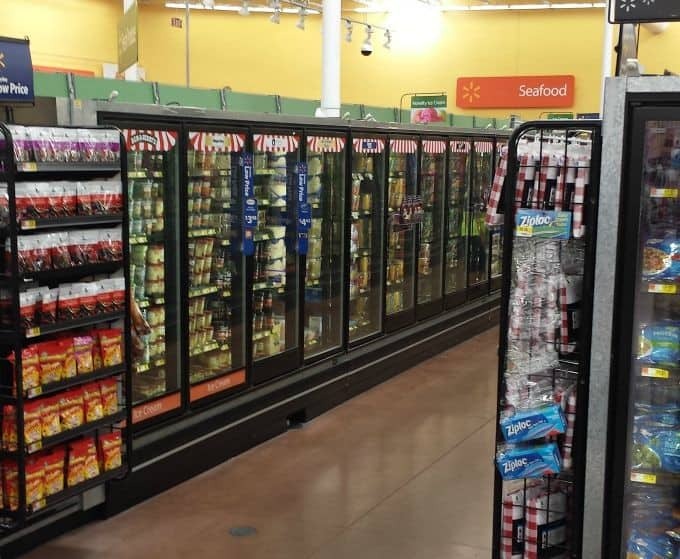 Check out Blue Bunny and all their products, great recipes, and check this list to see when a Blue Bunny Ice Cream Demo is coming to a Walmart near you July 16 – 19! You can also follow Blue Bunny on their social media channels: Twitter, Facebook, Instagram, Pinterest, Google +, and YouTube! Thanks to Brown Eyed Baker for her tips and tricks on putting this cake together! To soften the ice creams, I removed them from the freezer to sit on the counter for about 7 minutes before I needed to use them, but be mindful of your house temperature, it could be more or could be less. I unwrapped the ice cream sandwiches beforehand, leaving them on the wrapper, returned them to the freezer and cut them in half before I was ready to use them. Those don't need to be softened. Spray the sides and bottom of the springform pan with cooking spray. 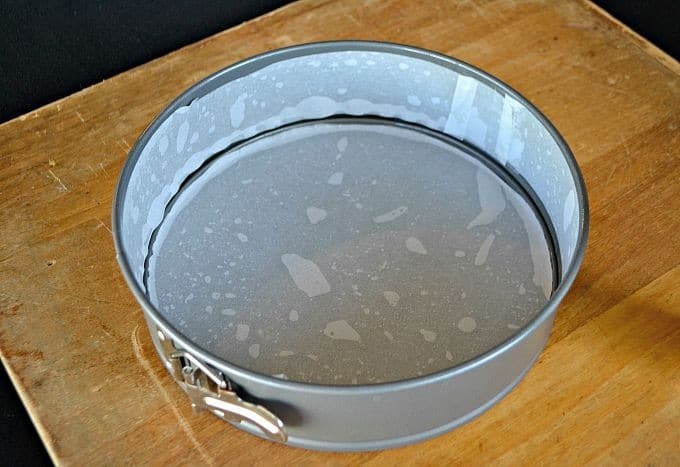 Cut a circle in some parchment paper by placing the 10-inch springform pan on top and trace around it. Place the circle into the bottom of the pan. Cut a 2-inch strip or strips in the parchment so that the final length is about 33 inches to line the side of the pan. 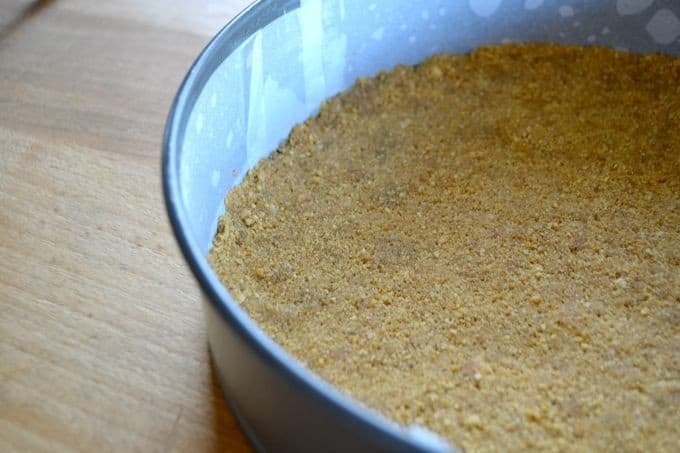 In a medium bowl, mix together the graham cracker crumbs and sugar. Pour the crumb mixture into the pan and flatten so that the bottom is completely covered. Place into the freezer to harden for 20 minutes. Place the ice cream sandwich halves cut side down against the side of the pan. 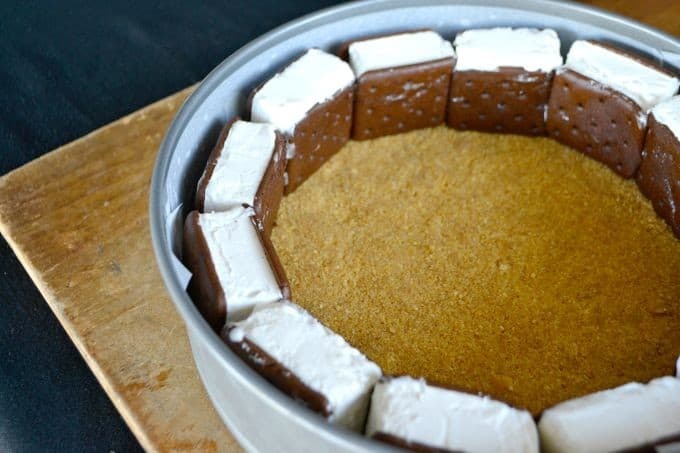 Place the chocolate ice cream on top of the graham cracker crust and smooth with an offset spatula. Spread 1/2 cup of the pineapple topping over the chocolate ice cream and top with a layer of banana slices (I used about 2 of them). Place the cake into the freezer for at least 30 minutes. Remove from freezer and spread 4 cups of the double strawberry ice cream over the banana layer and cover the ice cream sandwiches as well. Place into the freezer overnight. Place the springform pan upside down onto a plate or cutting board. Wrap two damp hot kitchen towels around the pan and allow to sit for about 15 seconds or so until the pan can easily be removed from the pan. Put a cake plate or serving plate up against the crust and gently flip the cake with cutting board (plate, whatever you've used) so that it is now right side up. Return to freezer for a half hour. Spread the jar of strawberry sundae topping over the top of the cake and top with bananas. Place the remainder of the pineapple topping over the bananas. To slice, use a large hot knife. I found it easiest to submerge the knife in hot water and then wipe it off between cuts to allow for clean slices. Serve drizzled with chocolate syrup and nuts, if desired. 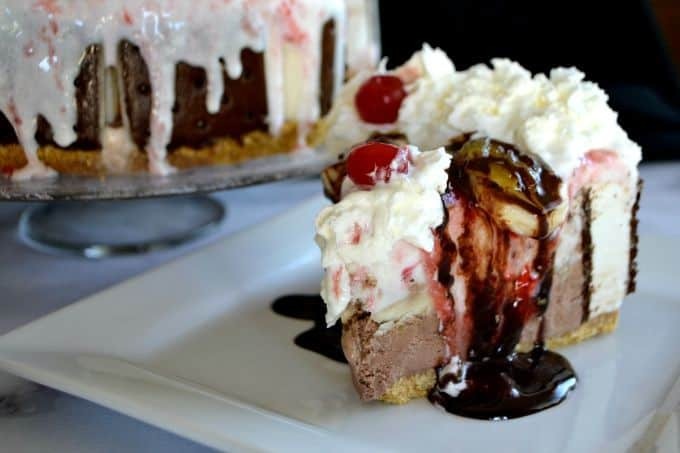 I rate everything I make on a scale of 1 -4 and this Banana Split Ice Cream Cake earned 4 rolling pins! 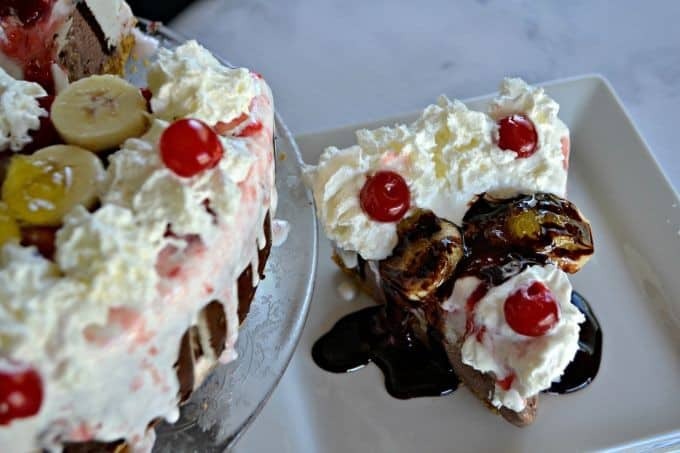 It was delicious and all the flavors of a banana split were definitely in there. Feel free to add more or less of the sundae toppings, change the flavors of the ice cream and add other things to make it all your own. I’d love to see pictures, so tag me on Instagram – @lynne365daysofbaking or post them to our Facebook wall! 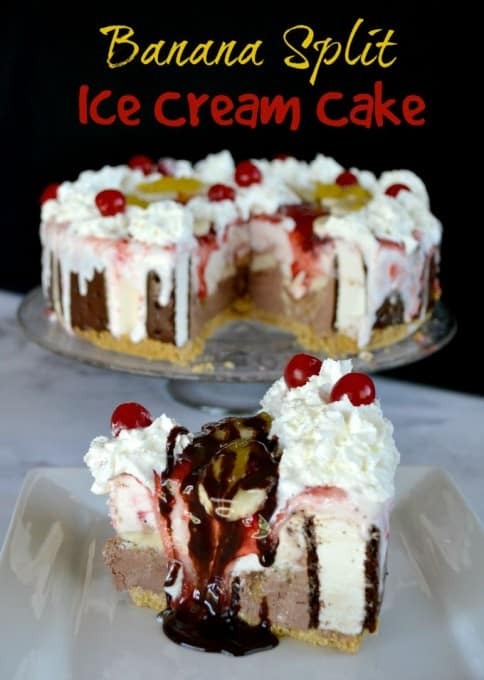 My husband is an ice-cream fanatic, he will love this. Thanks so much, Lise! I LOVE the British accent and my daughter will too, as she’s headed over there in a few weeks for her last semester of college! This will be perfect for my son’s next birthday! This has me drooling right now! What a wonderful cake. I want this for my birthday cake. In July. SO GOOD!